With over 20 years of experience we at A1 Posters & Laminators pride ourselves on providing a high quality poster printing service. For printing of posters we use the very latest high resolution 8 and 12 colour printers, these poster printers have very large colour gamuts enabling them to produce extremely high photo quality prints. All of our printers are maintained under a service contract which ensures that they are operating at the best possible performance and quality. All files are processed using Caldera Rip (raster image processor), the Rip will handle all the colour conversions and will take into account any embedded profiles such as Adobe RGB, sRGB & SWOP etc. 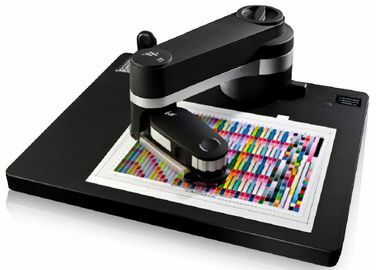 Every batch of poster paper is carefully colour calibrated using the X-Rite i1 Pro2 spectrophotometer. 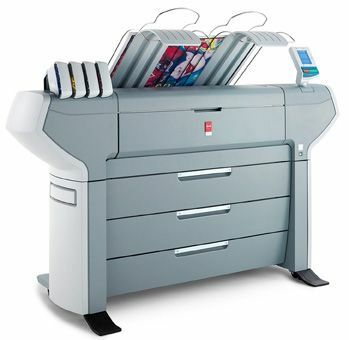 This machine is used by reading in a large number of colour patches that the printer is capable of printing, the Rip will then calculate all the various colours that the paper/ink combination will produce and use that information to more accurately map the original colour in the file to the closest printable colour. Our encapsulated posters (laminated front & back) are laminated using professional Ledco laminating machines. 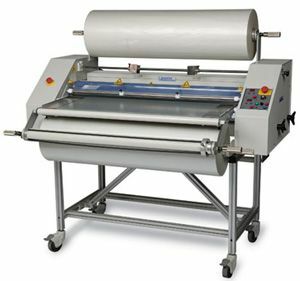 These heavy duty machines use heat along with a very high amount of pressure to permanently bond the film to the poster leaving a 4mm sealed edge. This laminating process creates a poster that is suitable for many applications where durability or outdoor use is required. Our gloss laminated posters are also suitable for use with dry wipe marker pens.